Companies with consistent, long-term growth do not execute arbitrarily. IIP Principals have developed a methodology called the Growth Acceleration Process. 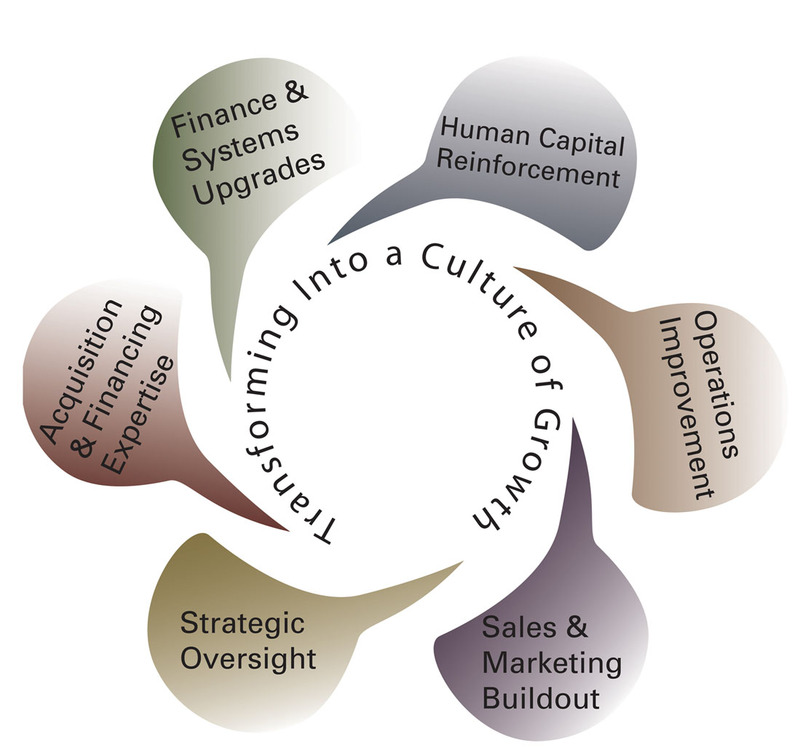 This process involves systematically building and/or upgrading the key functional components of a company as well as transforming the mindset of the company into a culture of growth.